The main cast has been chosen and now theres a date for the filming to start in LA. 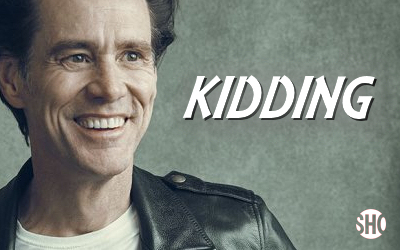 "Kidding" is a Showtime 30 minutes, Series, in which Jim Carrey plays the main character. The series tells the story of Jeff, aka Mr. Pickles, an icon of children's television, a beacon of kindness and wisdom to America's impressionable young minds and the parents who grew up with him - who also anchors a multimillion-dollar branding empire. But when this beloved personality's family - wife, two sons, sister and father - begins to implode, Jeff finds no fairy tale or fable or puppet will guide him through the crisis, which advances faster than his means to cope. The result: a kind man in a cruel world faces a slow leak of sanity as hilarious as it is heartbreaking." With an amazing cast the filming will start production on April 11th! We can't wait to see the first episode! -- Source: USA Production News. With thanks to Nick. Click to comment this article.